Every year I like to save money on my European vacation by visiting places like Moscow, Rome, New London and two places in Iowa named Paris. 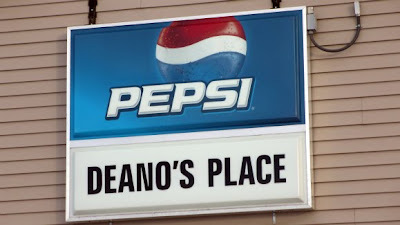 Deano's was a small town hole-in-the-wall cafe in nearby Lockridge before moving along Highway 34 to the small town of Rome. Its as if all roads lead to Deano's in this tiny town. 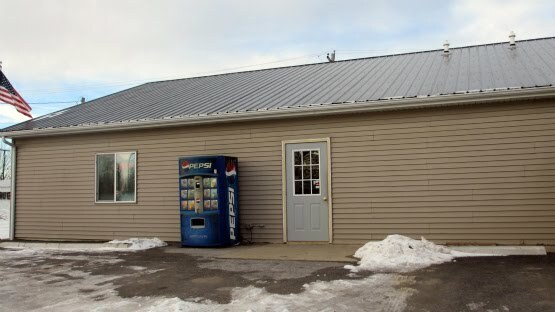 Location: 503 S. 3rd St. in Rome (population 113), Henry County in Southeast Iowa. Directions: Take Highway 34 about seven miles West of Mt Pleasant, and turn north onto a road that turns into 4th St. in Rome, Deano's is a block over to the East. The Tenderloin: This sandwich was a big enough to fill a to-go bag, and heavy with a thick triangle shaped pork loin inside the soft bun. 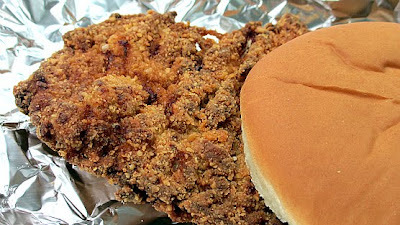 The breading was a great crunch with just a little seasoning. Parts of the thinner edges of the meat turned a little tough in the cooking process and were a little dry. 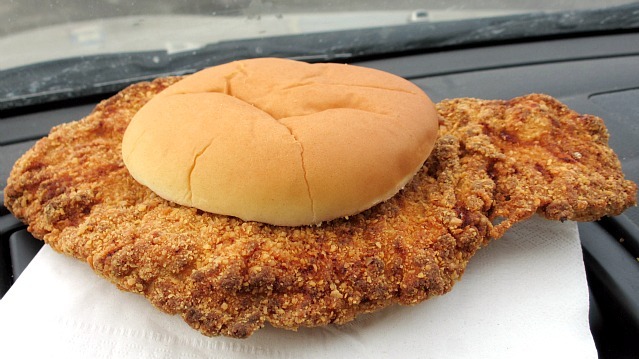 Most of the sandwich was pull-apart tender. Served with all the fixings, overall 7.4 out of ten. Price: $4.50 a great value. Also on the menu: The menu has a drawing of a cow on the front but I forgot to take notes on what else they serve. If I had seen something unusual I probably would have remembered. Service: I was in during the off hours and went to the counter, then had my order in just a few minutes. Ambiance: Outside looks as plain as any place I've been to anywhere. This is a large restaurant area with tables and booths and two bulletin boards with all the town news and businesses in one place. 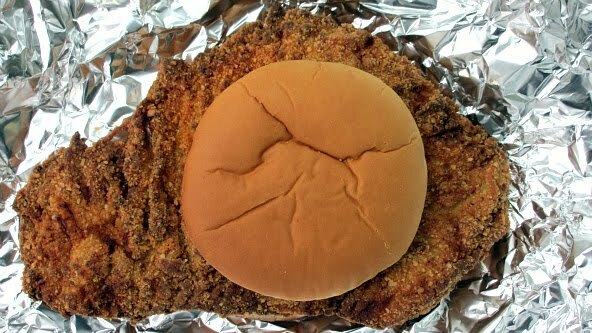 Final Thoughts: I came, I saw, I ate a gigantic tenderloin at a rock bottom price at Deano's Place in Rome. There is only one other place to eat in Rome, so when in Rome, do as the Romans do and eat at Deano's Place.